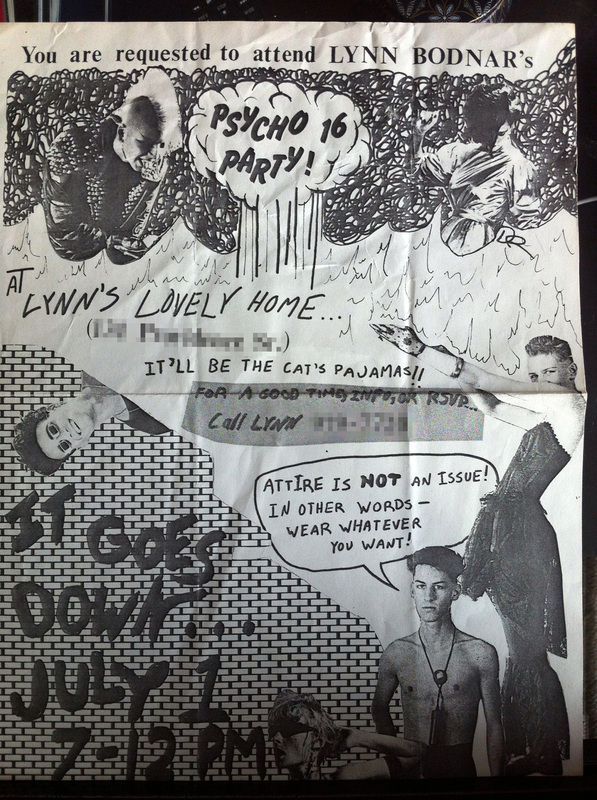 In this flyer I made for my friend Lynn's 16th birthday party, we can see that I was playing aorund with this punky, pre-digital, cut-n-paste aesthetic ages ago. This was 1988 when I was 17, just about to head off to college. Lynn and I both straddled the edge of Staten Island's suburban-y punk scene, so this wasn't entirely us being poseurs. You can definitely see the early seeds of the Punk Mince art direction.